Needless to say the Keynote Address was not disappointing, with a real focus on cloud technologies, including the launch of a new application which was focused in a recent post, Autodesk FormIt. It is available for the iPad only, and when I enquired as to its availability for Android I was told to not hold my breath! This is disappointing given the market share, but understandable when you consider all of the additional support issues that apply to the multiple Android devices that are available. I’ve had first hand experience of these support issues with the AU app this week; lets just say it didn’t perform as it did on iware. There are lots of other interesting and inspiring technologies and lectures over the coming days. If you’re not attending, you should definitely be checking out AU Virtual. Don’t forget to watch my class which introduces quick visualisation options within the Autodesk Building Design Suites. 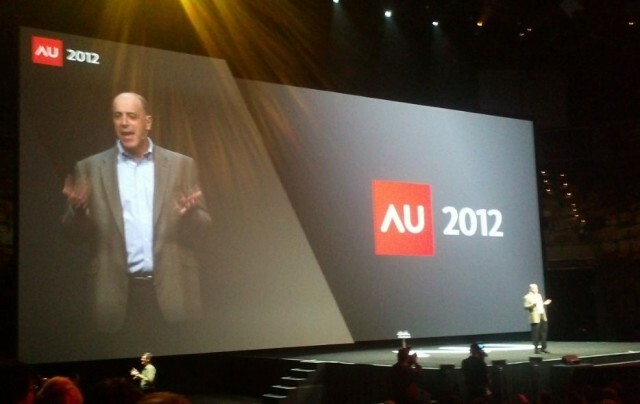 I find Autodesk University very valuable, as it has a very direct impact on industry knowledge, undoubtedly leading to a betterRevit for all!